I love discovering new brands on my travels, I think that’s why Japan is so high on my must visit list. There’s just something so satisfying about finding an amazing product that you’ve never heard of before that’s special because you can’t get it at home. This was a little treat I picked up last time I was in Paris for my Halloween makeup look but it’s actually become a bit of a makeup bag staple. 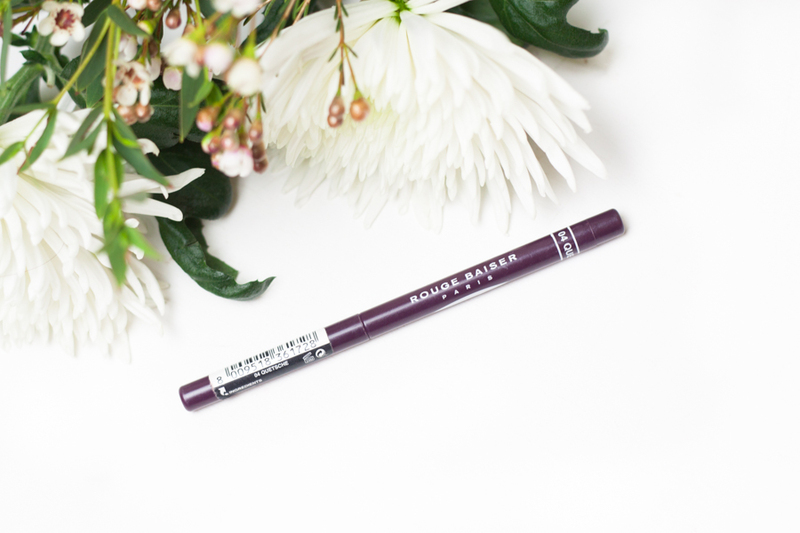 A deep purple lip has become my favourite winter go to and works really well for pale skin. The same goes for a shadow this colour around the eyes (obviously not together) but it’s good to know your colours. I don’t tend to wear lipstick but I use a liner all over my lips with a little bit of gloss. It is drying sometimes but it’s the best way to make your lips look bigger and get a nice matte finish. I love this one because it’s twist up, so you don’t have to worry about sharpening which just gets annoying. The colour pay off is also incredible and it has amazing staying power to. I couldn’t find this brand online which is annoying but there are lots of people instagraming about them. If your in Paris I would pick one up or if you know of anywhere I can get some more colours closer to home let me know below. Next Post Is it a bag? Is it a pineapple?